The 57 Chevy is perfect for a nostalgic time with old friends. 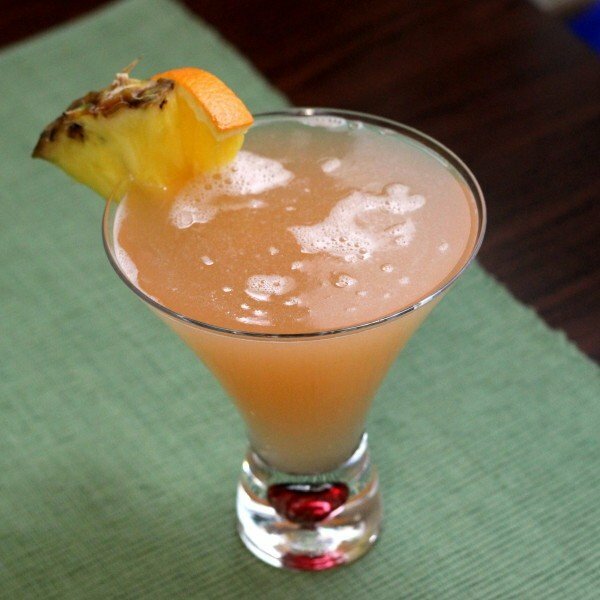 It’s sweet and highly drinkable, featuring peach and orange liqueurs, pineapple juice and non-threatening vodka. If you want to fantasize about life being less complicated, this is a great drink to accompany your daydreaming. I think of this as a summertime drink, with all the fruity flavors, but it’s good any time of the year. Fill a cocktail shaker halfway with ice cubes. Pour in the ingredients and shake until chilled. Strain into a cocktail or old-fashioned glass. Top off with pineapple juice. No garnish required, but an orange or pineapple wedge would work.